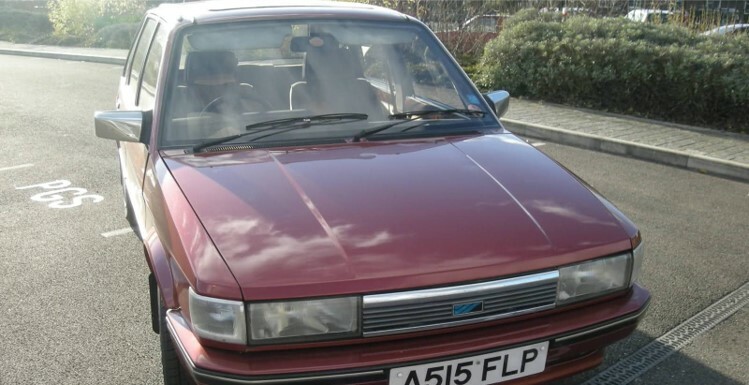 My Mum rolled into the driveway in a burgundy Austin Maestro, I think it was a 1.4L. It was the most exciting car I had ever seen and I couldn’t believe my luck that it would become part of my life, I was 8 years old. I would show all my friends the amazing feature within; the computer and voice synthesis module in the middle of the dashboard. I can still hear her voice now, when you pressed the button she would say “Time” or “Average. Fuel. Consumption”. It was mega wow. So why exactly was this so exciting to a young Charlie like me? I was a massive fan of Knight Rider which we would watch on Saturday evenings with our special weekly treat of ‘Coke and Wotsits’. 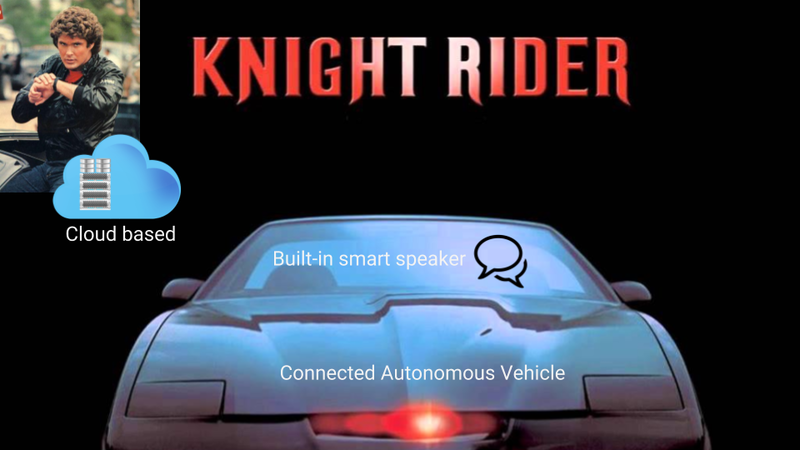 Looking back at KITT now I see an autonomous vehicle with a built in assistant. I worked out that KITT is a cloud based assistant as Michael could talk to KITT from his smart watch, also making KITT omni-channel. The vision from the show’s producers was so profoundly accurate, that in Michael’s first interaction with KITT it suggested it could play his music. That’s exactly where Alexa is today. So I set out to create these types of new technology and ended up setting up a software business, putitout which grew from a 2 person to 45 person team over 6 years and delivered the cutting edge technology of the time, Websites, Facebook Applications, Mobile applications, Augmented Reality applications, Mobile Payment apps. About 350 products delivered in all, which gave me a great perspective on how to put emerging technologies to best use. When Alexa launched in 2016 I helped Lola Tech (an enterprise Travel Software business) bring their first wholly owned product, Dazzle, to market. Dazzle is a conversational platform for Travel Operators. See here a video explaining the business. To me, one of the most interesting parts of putting this proposition together was the opportunity to create and optimise ‘conversations that lead to a transaction’. A conversational channel, like no other, has the opportunity to become trusted and personalised and if it can achieve those goals then sales conversion rates increase. I had been thinking about the changing nature of the transaction for a number of years and in 2014 wrote this presentation explaining what I meant by “Emerging Commerce”. The fundamental principle is that the way humans communicate and transact has always and will always continue to change. In 2014 I could see that mobile as a channel was becoming trusted and mobile payments would grow, that conversational commerce was on the horizon and new technology was going to continue to disrupt the way people purchase products. Mobile commerce did not replace other ways of transacting but instead added a layer in top. That will be the same for conversational interfaces when brands create their own conversational commerce channels over the next couple of years. However, the future looks slightly more complicated. 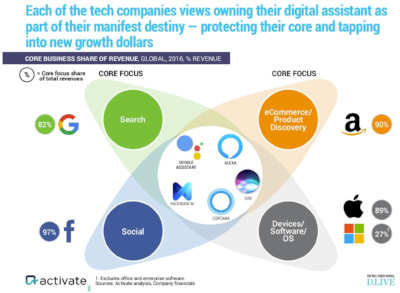 We see a huge amount of investment by the 4 tech giants, Google, Facebook, Microsoft, Apple and Amazon all putting $billions into pushing forward their conversation-first assistants. The rationale behind this is that over time these assistants will become an ever more important or even principal route for access to products and services. At this point there is a worry that it will be hard for a brand to get recognition as the top level assistant will be able to make ever more personalised decisions and recommendations for the user. We believe it will be ever more important to for brands to have a compelling conversational assistant (chat bot or voice bot) working either as a chatbot through Messenger platforms like SMS, WhatsApp, Facebook Messenger etc. or voice through smart speakers like Alexa and Google Home. This allows ongoing learning and helps stay abreast of the way the eco system is changing consumer behaviors. Conversational SEO will be ever more important and conversational commerce channels will start to out-perform other channels due to its trusted, personalised nature. The message is clear that to maintain relevance, your conversational strategy needs to be implemented now as it will take a while to build up a compelling experience. Its like training a child how to talk, to begin you can make a lot of quick progress but to become an excellent brand ambassador will take years.